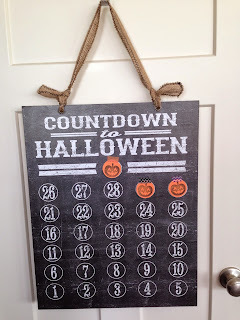 One day, while I was searching the internet for a cute Halloween Countdown idea, I came across this PIN, and loved it, so I went to Photoshop and made my own. After I designed it, I sent the file off to Staples to have an engineer print printed. For a 18"x 24" print I paid $1.80! 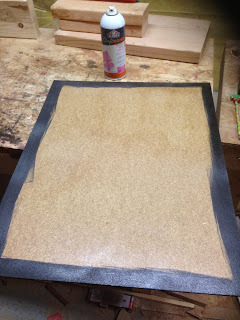 After Matt cut a piece of MDF backerboard, I painted the sides with black acrylic paint. 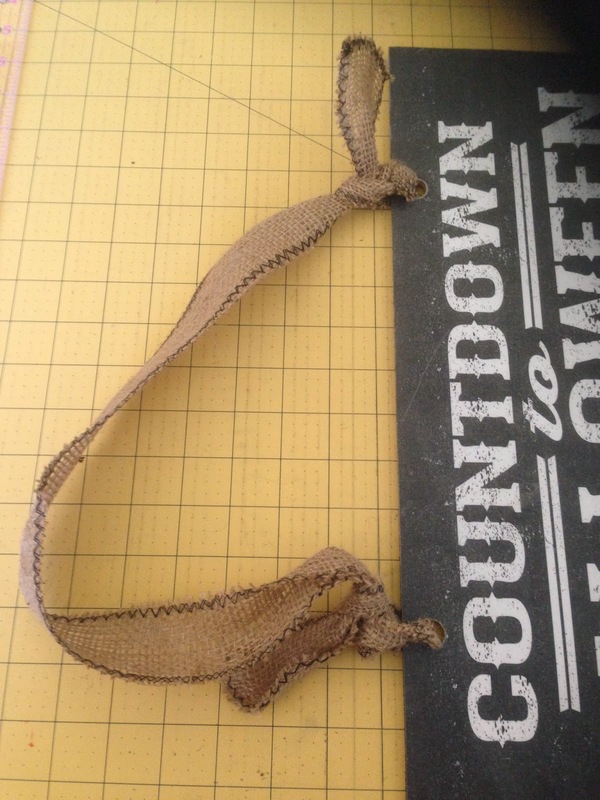 Now, take the engineer print, trim the white margins off, and cover the front with a piece of Contact adhesive paper. I found a 1.5 yard roll of this at Dollar Tree for $1! 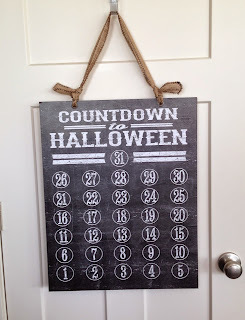 If you cover it with Contact paper, it will make the Countdown reusable. Next, spray the MDF backerboard with spray adhesive and carefully lay the engineer print on top and smooth it down until all bubbles are gone. Now, take a 1/2" drill bit and drill two holes at the top of the board. I cut a 40" long x 2" wide piece of burlap and zig-zagged the edges with black thread, then tied it to the countdown board. Next, I cut 31 circles on orange card-stock with my Silhouette. 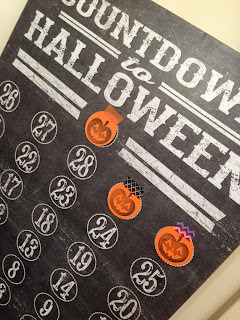 I found some cute foam Halloween Stamps at Hobby Lobby, so I used the pumpkin stamp and stamped the front of each circle. 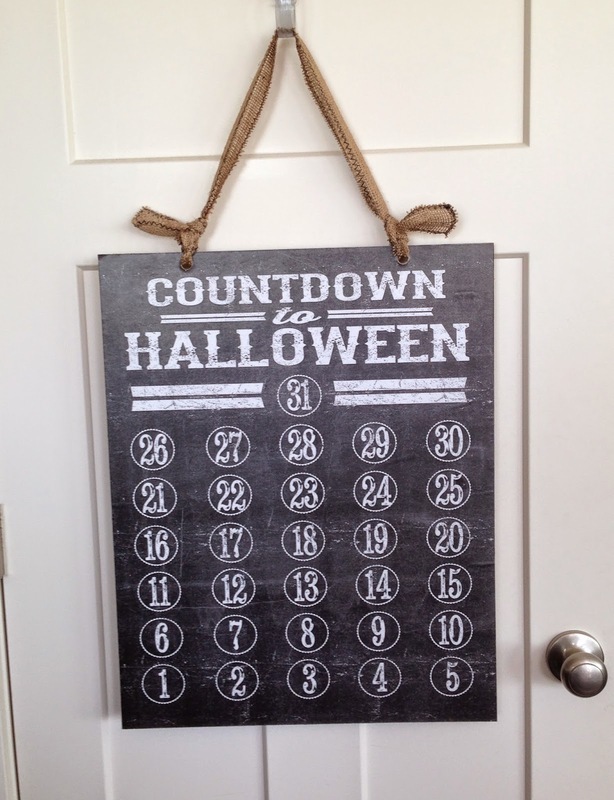 Here is a picture of the Countdown without any days marked off. 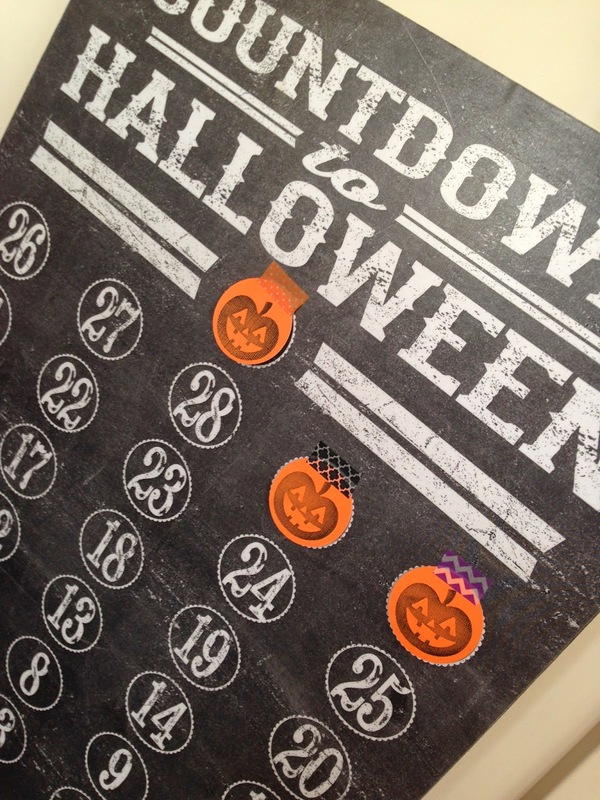 I attached the pumpkin circles with a 1" piece of Washi Tape. I bought my Washi Tape from Oriental Trading. You get (6) 16 yard rolls for $5! I love it! I am selling them in my Simple Treasures Boutique booth this week. You can make your own by purchasing the digital file from my Etsy Shop HERE for $5!